Holly Farm South Walsham was the venue for this weeks match, 19 members made the trip which was a very good turn out. Everyone expected the fishing to be hard due to quite chilly weather conditions with a nice hail shower midway through. 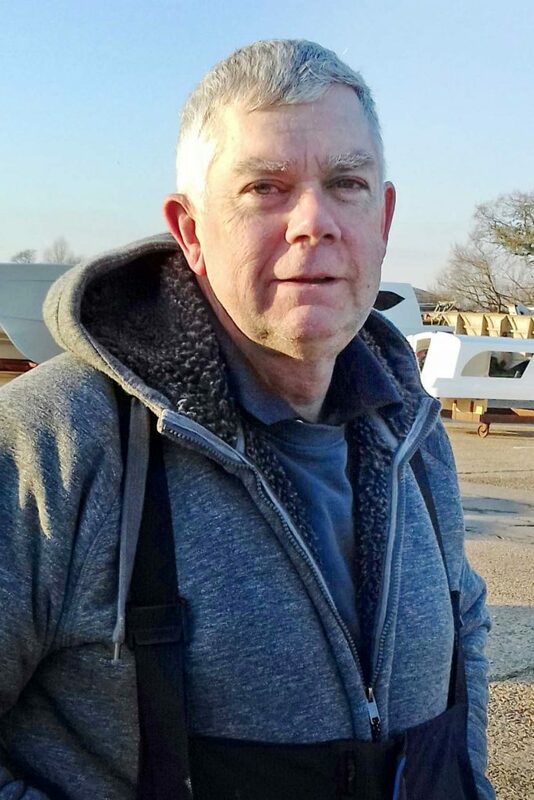 Mark Charlwood won this week from peg 14. Mark fished with soft pellets and weighed 14lb 8oz which was a good weight considering the conditions. Good job! 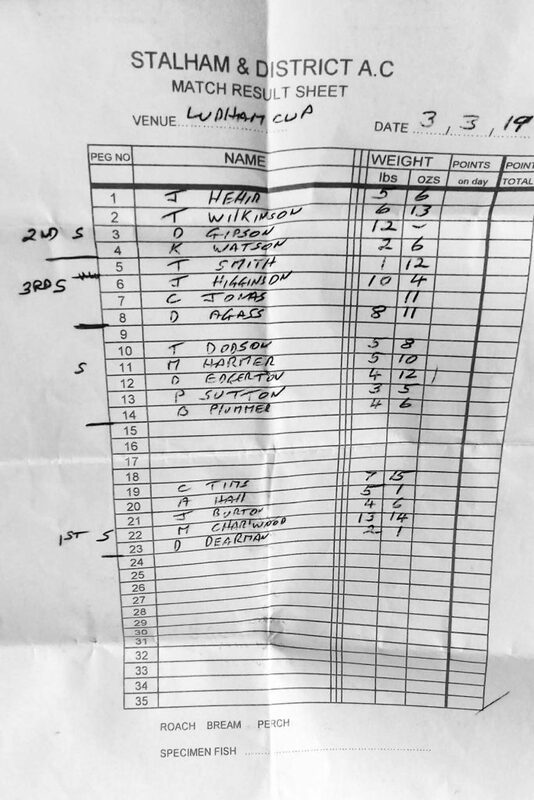 John Hehir was the second from peg 5 with 12lb 12oz Well done, John! Let’s hope summer arrives soon. 17 members made the trip which was a very good turn out. The forecast was for light rain by 10 and the good old British weather didn’t let us down. So before the match our thoughts were not very optimistic. Having drawn our pegs it was time to start. So the winner this week was Mark Harmer. He had drawn the end peg 11 ( our pegs) on the far side and weighed 18lb 4oz. Good job! John Higgingson was a very close second from the peg 15 with 15lb 8oz which was his first frame in the summer( he said so).Well done John! The third place this week was shared again between Mark Charlwood and Jon Burton both weighing 10lb 8oz. For everybody else it was a very hard day fishing with only one other double figure weight. Unfortunately, next week is full but if you would like to fish , contact Dave to see if there have been any cancellations. Today’s match was on Barford Match lake. 20 members made the trip to see if it would be their lucky day. The forecast for this week was bright sunshine so everyone was expecting an enjoyable day’s fishing, but it didn’t turn out good for everyone. Mark Seaman drew peg 14 ( our pegs) on the far side and ran out comfortable winner with 84lb 8oz catching shallow . Well done lucky Mark! The second place goes to Steve Jackman . Steve was on peg 4 and also caught shallow for the weight of 49lb 9oz . The third place goes to Mark Charlwood for a third week running. Mark was fishing peg 5 and also caught shallow for 43lb. Most of the other guys caught fish but ,unfortunately, it was a struggle . If anybody is interested in fishing next week , please call Dave Agass as there are 2 spaces left. Thought this might be useful when rig making. You can download your own pdf to print out or view on your phone etc. 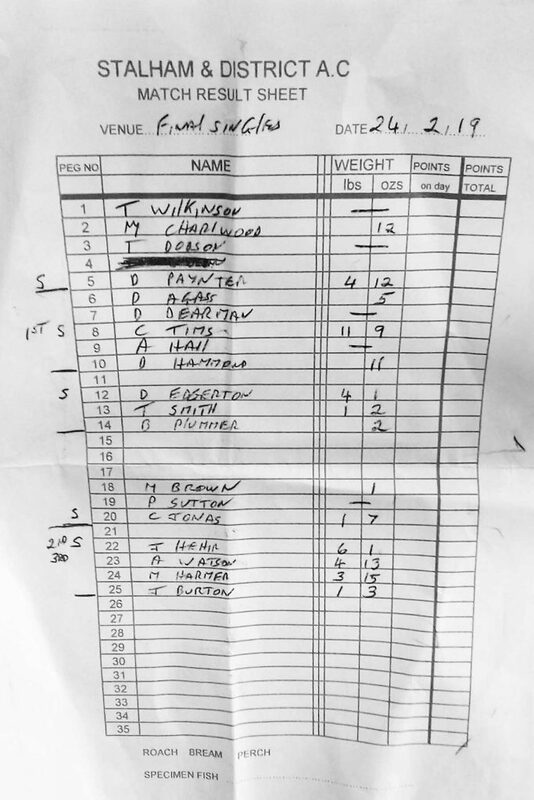 This weeks match was held at Melton Pond 4 on Sunday the 23rd March. Only 13 of us turned out this week which was due to 4 cancellations. The weather this week was much warmer and a lot less windy. Lucky Trevor Dodson was the run away winner this week. Trevor caught fish from the off and steadily through the day, and weighed a very good 52lb 12oz which was a very good weight on a very hard day. Jon Burton was on the next peg and weighed 28lb 8oz for the second place. 3rd for a second week running was Mr consistent Mark Charlwood. 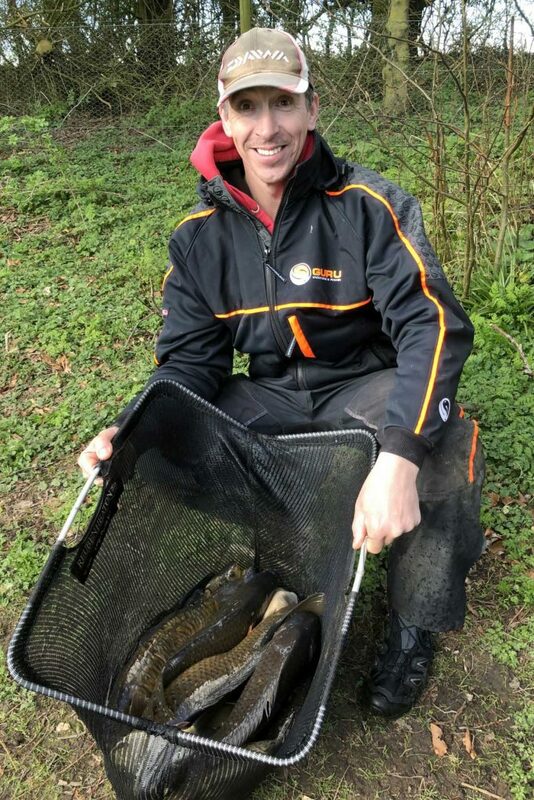 Mark struggled for bites and only had 1 fish until the last hour when he caught 2 large carp for a very good 23lb 14oz (3 fish). Well done to those three. Most others had a very hard day fishing with the odd fish being caught. Just a note for everyone there is about 8 spaces available for the next week’s match. The venue is Barford Match Lake . please , call Dave Agass to book in. 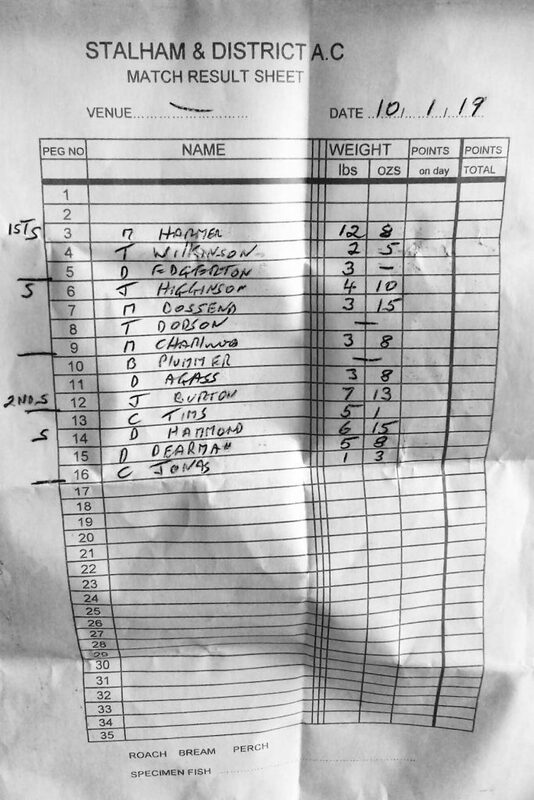 See you all there…………………..
Mark Harmer wins at first summer match at Old Stables – Didn’t he do that last year?! So here we go again. The Stalham AC summer series. Round 1 was at The Old Stables, North Walsham. 13 hopefuls turn out for the opening match. Reports from the match on Wednesday were not good so expectations were a little low. With quite strong wind and a few showers forecast it was time to see who would pull the winning number out of the bag. 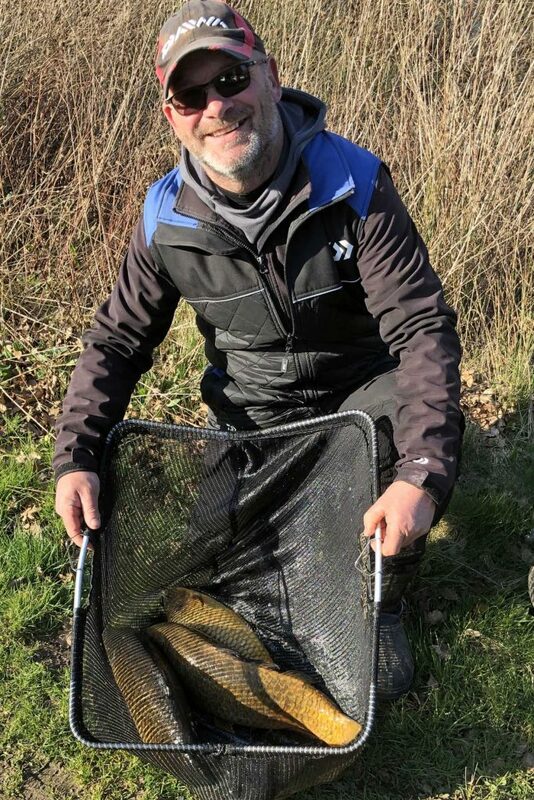 Mark Harmer drew peg 7 out, and caught small carp and roach for the first half, but then he decided to have a look under the willow tree which has been void of fish all winter. But to his surprise they were there and he caught steadily till the end to finish in first place with 42lb 8oz. 2nd place goes to Tony Wilkinson from peg 12. Tony caught 21lb 12oz which was good considering he had the strong wind blowing straight in his face. Well done Tony. Mark Charlwood and Dave Paynter were joint 3rd. Both weighing 18lb 8oz. Overall it fished well, considering the conditions, and it was much better than last year. Hopefully next week the conditions will be much better- we will see. And there was one D.N.W. Rain and more rain was the order of the day this week and, if the rain stopped, the wind was to get up to gale force. Lovely!!! Yet still 14 members turned out to fish in this the last boatyard match of the season. 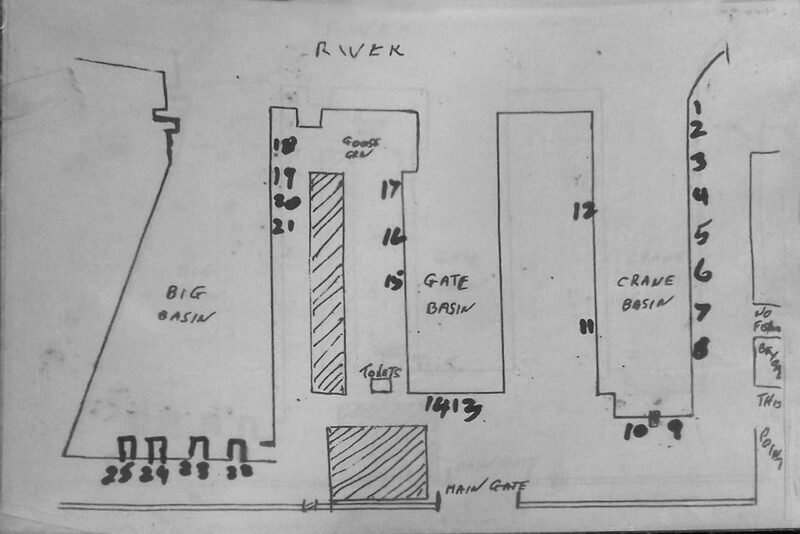 (please note: there were 15 but John Hehir thought better of it and went home – probably a wise move). 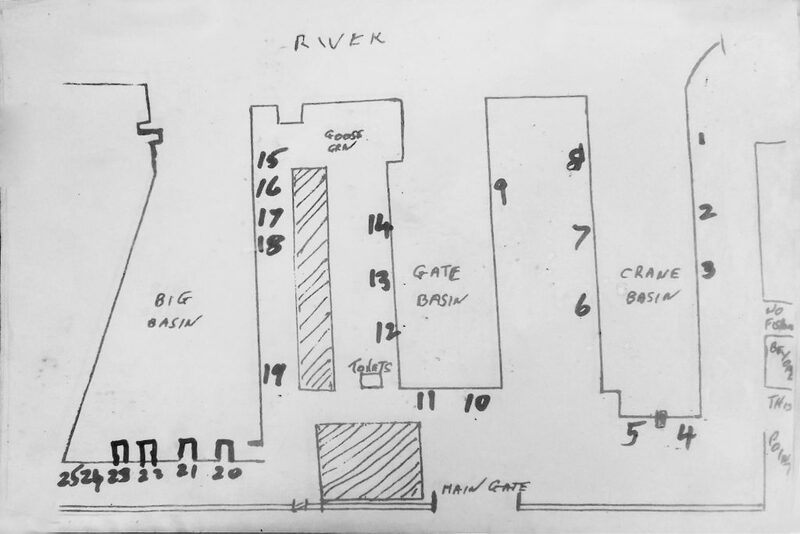 So after some discussion the match was fished on the Gate and the Crane basins this week as the boatyard is open again and had boats returning today into the Big Basin. 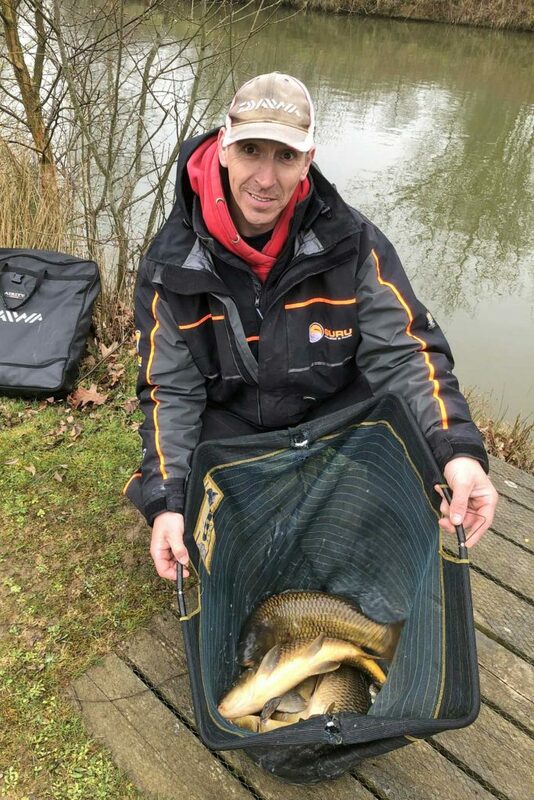 Mark Harmer drew peg 3 and had a nice days fishing despite the weather catching all day and putting 12lb 8oz on the scales for a runaway win. He is just getting into gear for the summer I think – watch this space!!! 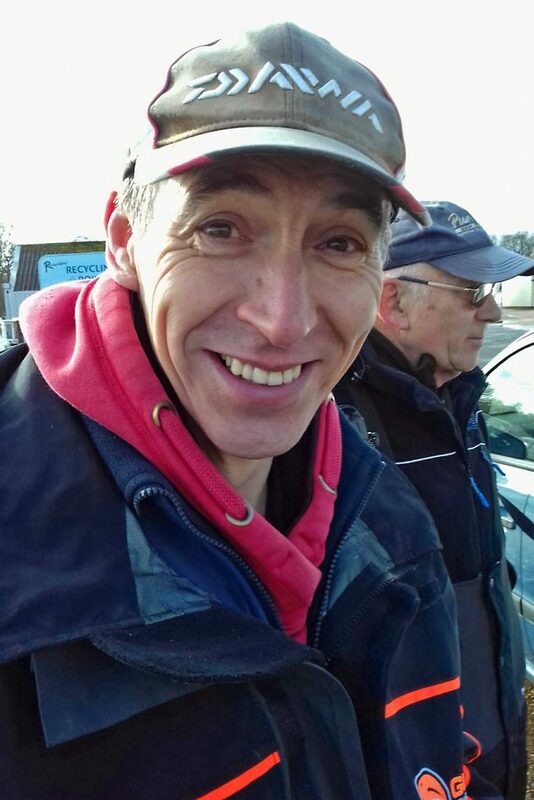 In 2nd spot this week was Jon Burton who was on peg 12, almost opposite Mr Harmer, where he had 7lb 13oz. 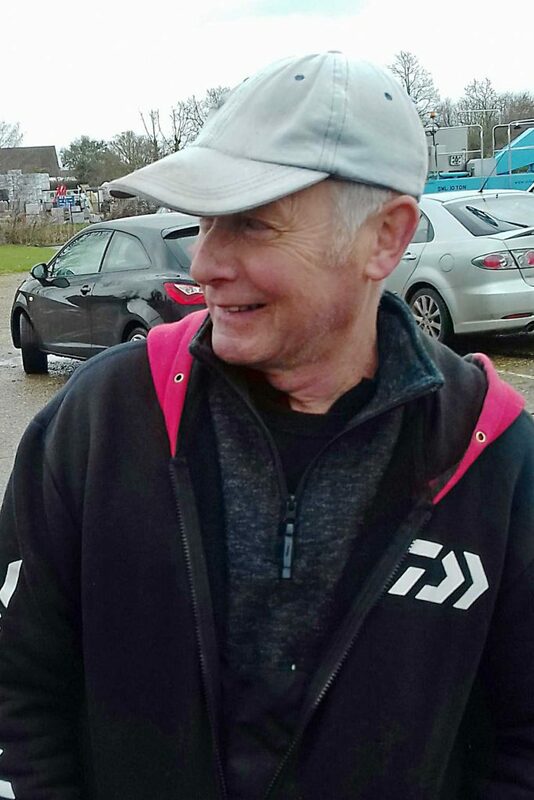 Then in 3rd was Denny Hammond from peg 14 on the left end of the gate where he caught a processsion of small skimmers throughout the day for 6lb 15oz (hammering me off the next peg in the process). So that is it for another season. 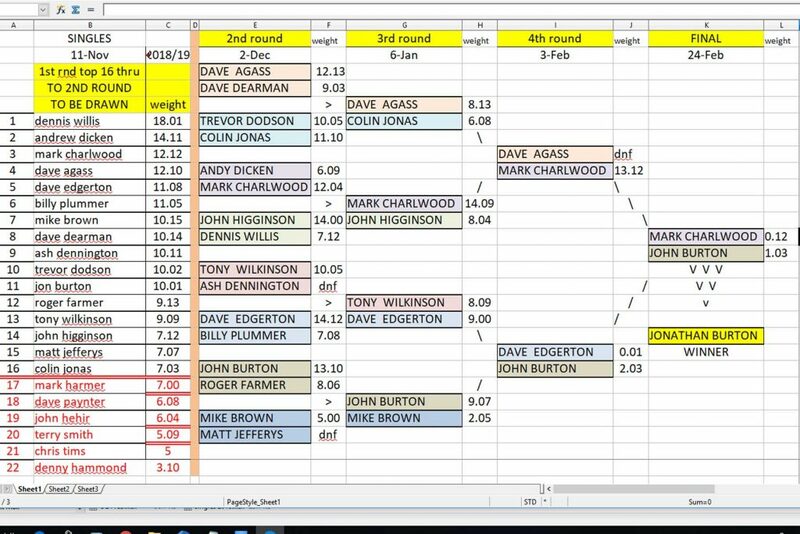 Summer series starts next weekend at Old Stables and I will hand the reporting back to Mark Harmer for the summer matches. 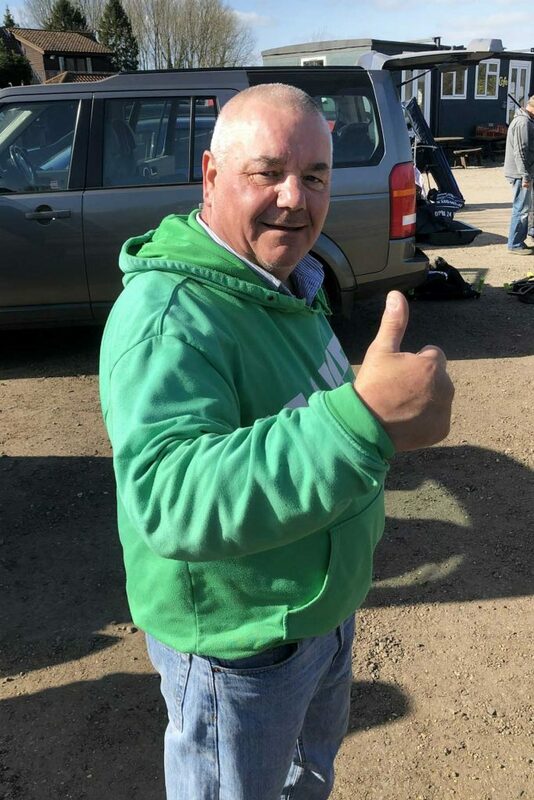 Thanks again to Colin Jonas for all his organising over the winter and we can look forward to doing it all again come October. ……. Dont forget AGM at the Harnser on Tuesday 19th March 2019 at 8pm………..See you there. After the last 2 weeks warm and sunny conditions, this Sunday the weather reverted to more normal wind and rain, and it was forecast to last all day (which it did). But, on the plus side, the change of weather definately improved the fishing with no blanks this week! 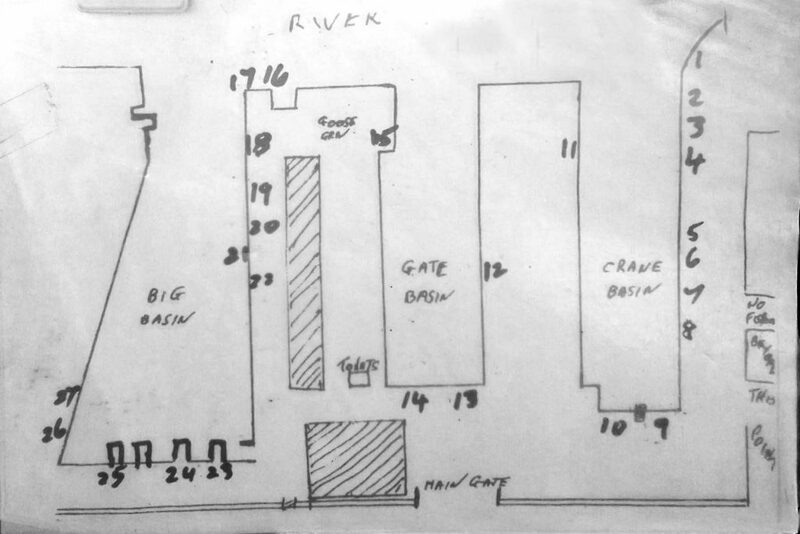 Mark Charlwood drew the 3rd jetty in the big basin and was facing the wind. He was a pre-match doom merchant claiming that the fish had all gone out of the yards. He was pleasantly surprised then, when he caught 4 big skimmers plus perch and roach to put a winning 13lb 14oz on the scales. 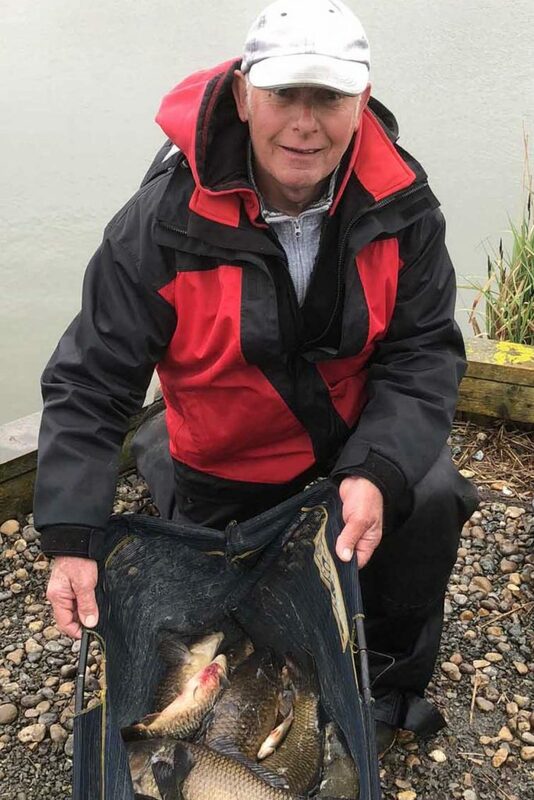 Dave Gipson was on peg 3 (last weeks winning peg) in the Crane basin where he caught steadily to weigh in 12lb of mainly roach for 2nd place. John Higginson on peg 6, also on the Crane, had 10lb 4oz for 3rd.